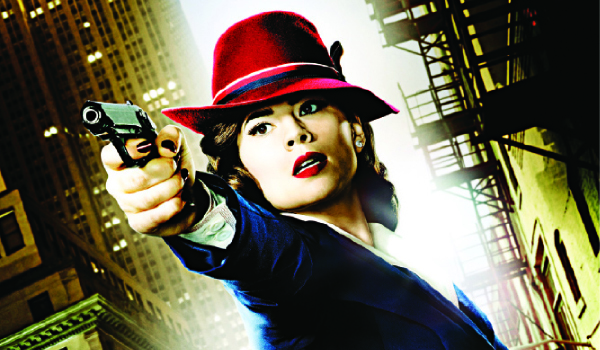 Tune in to season one of Agent Carter, featuring the Marvel Comics character Agent Peggy Carter. Set in 1946, the story revolves around Cartera��s life following the assumed death of Steve Rogers (Captain America) and her dual life as an administrative clerk and a secret agent. Watch Jennifer Lopez take on the role of Harlee Santos, a New York Police Department detective, who is forced to join hands with the FBIa��s anti-corruption task force. On a personal front, she is a single mother burdened with emotional and financial problems. If you are toying with a business idea, tune in to this reality show. It features aspiring entrepreneurs who make business presentations to a panel of a�?sharka�� investors and try to onboard them as investors. This is for fans of apocalyptic dramas. On the show, time-traveller Rip Hunter has the Herculean task of building a team of heroes and villains that can prevent an immortal threat on planet Earth. Michael Rosenbaum plays the role of a gambling addict Buddy Dobbs. In order to hide from a pair of loan sharks, he steals the identity of a recently deceased gay pastor. Catch comedian Jim Gaffigan goof around in this new series, inspired by his real-life struggles to balance his family life with his stand-up comedy career. American Horror Story: Hotel, Saturday, 11 pm Catch the fifth season of this horror anthology. It centres around one enigmatic Hotel Cortez in Los Angeles, that catches the eye of an intrepid homicide detective.